BML has access to more than 30 pipeline injection stations that are strategically located to form an efficient network in the BML service area. 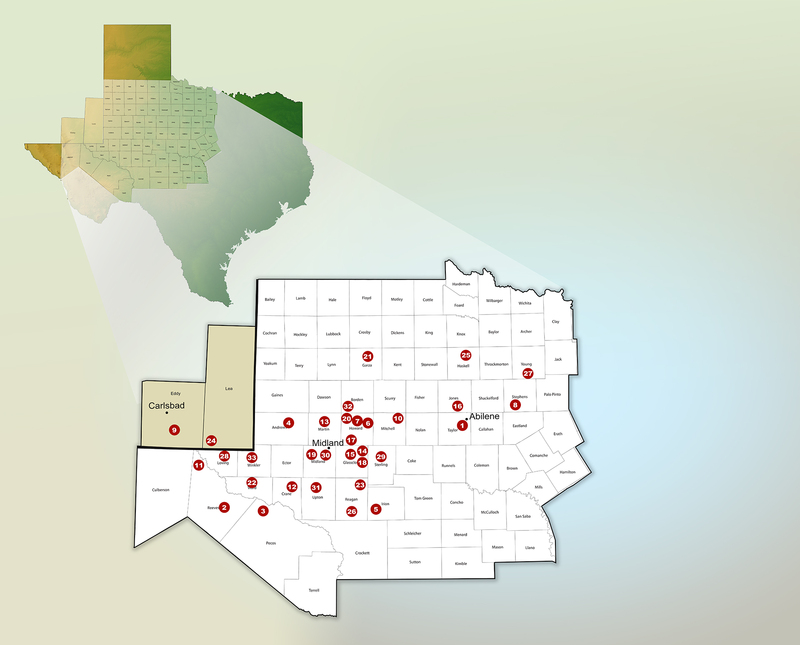 BML provides fast and reliable service from lease sites to this network of pipeline stations which serves a 100 county area from west central Texas and into southeastern New Mexico. BML offers a 24 hour call-in service with prompt response, reduced travel time and low transportation costs. Call BML today for a quote (800-588-0265).